Vicky's productions have been creating a huge buzz of late with impressive outings on both Insatiable and Drizzly. 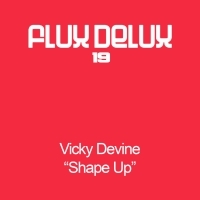 With "Shape Up", she raises the bar yet further with her most impressive release to date. Produced in Greg Brookman's (Nukleuz etc) studio, this is highly charged melodic trance at its best. Paul Miller steps up on remix duty and delivers an impressive interpretation to further cement his position as trance "man of the moment". 'Shape Up' is available now from Beatport and iTunes.